Last month my niece turned 7, and I was at a loss for what to get her. I wanted to give her something fun that would also promote creativity. My sister doesn’t have ample space in her house, so it needed to be something that didn’t take up too much room. After some brainstorming, my daughter and I were able to create a Big Top Puppet Theater. We went with the “Big Top” theme because I happened to have plenty of scrap fabric leftover from a quilt and my daughter had matching yarn to make puppets. However, by changing up the fabric choices it would be easy to create all sorts of cute themes (princess, outer space). Cut fabric scraps into 5 1/2 x 19 inch rectangles. You will need 10 to 12 rectangles. 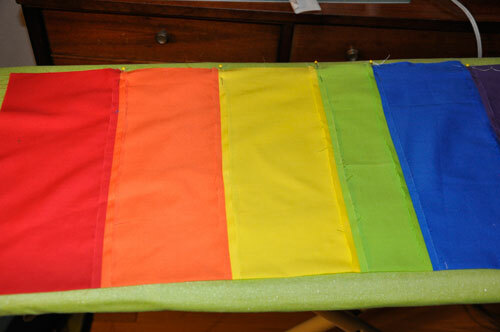 I used 11 for the rainbow pattern, but you may want more or less depending on the pattern you create with your scraps. Sew long sides of rectangles together using a 1/4 inch seam allowance. Press seam allowances open. You will now have one large rectangle. Hem the 2 short sides of the large rectangle. 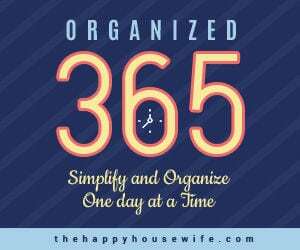 Fold rectangle in half, right sides together. Sew together using a 1/2 inch seam allowance. Turn inside out and press flat. Sew across the top of the valance 1 1/2 inches down from the top. Then sew across again, 1 inch down from the top. Sew trim along the bottom of the valance. Hem all four sides of the printed fabric. Fold the top of the fabric back 3 inches. Sew across the top of the curtain 2 1/2 inches down from the top. Then sew across again, 1 inch down from the top. 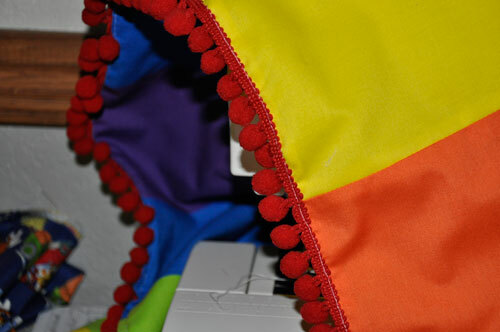 Create a pocket for the curtain using the felt. I took one piece of felt and added a strip of felt to the top and bottom to give it the look of a “sign”. I then cut out letters from a rectangle of sticky felt and personalized the theater with my niece’s last name (used her last name because she has a sister who will be playing with the theater as well). Center pocket on the front of the curtain, 3 inches from the top. 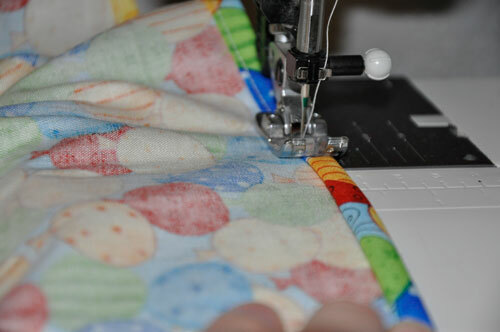 Sew bottom and sides of pocket onto the curtain using a zig-zag stitch to make it more secure. 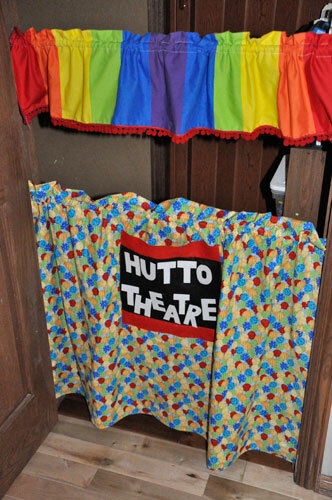 I thought it would be fun to include some puppet theater accessories with our gift. Here are a few ideas we came up with to add to the theater. Hand-Knitted Sock Puppets – My oldest daughter created a knitted sock puppet pattern and used rainbow striped yarn to match our “Big Top” puppet theme. Sound Effects – Every theater needs sound effects and it is so easy to create your own such as beads or rice in a tub, bells, whistles, 2 sticks, or 2 pieces of wood covered in sand paper. 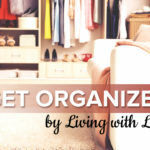 Story Cards – Print out a “script” (use pictures for smaller children) on cardstock, place in a page protector and use a metal ring to hang it from the end of the pressure rod. 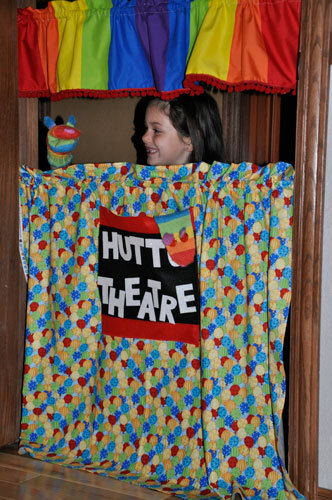 My kids have always climbed behind the couch to put on their puppet shows. Such a fun way to spend an afternoon.